Personally speaking, a new species always delights the soul and two new stingless bees can't get up anyone's nose. 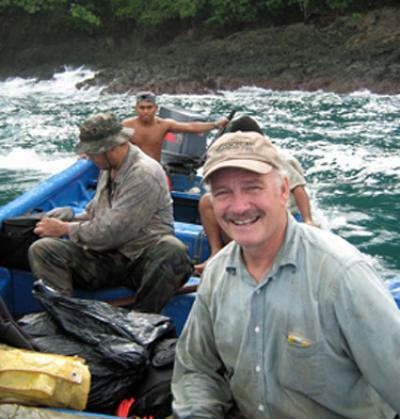 David Roubik of the Smithsonian Tropical Research Institute thinks that changing sea levels brought a "new" bee to western Panama before Coiba and Rancheria were separated from the mainland, presumably after an Ice Age. Melipona spp are the ancestors of the Mayan honeybee, with other relatives in the Amazon basin. The large offshore island Coiba, and its tiny neighbour, Rancheria, host this first species, Melipona insularis. It is the only Melipona ever found resident on islands near the Pacific coast of Panama. 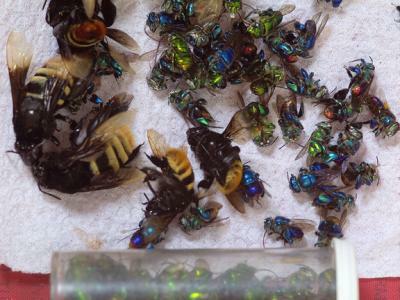 There are five other types of stingless bee on the island, but they are also found on the mainland. The factors influencing bee colonisation obviously influence the thinking in this research. Workers in M. insularis prepare nests before a new queen can move in. Open water is obviously an rarely penetrable barrier, so the M. insula has reached the island during an Ice Age, it is thought. The other bee is from Colombia. Melopona ambigua and thought ancestral to both Mayan honeybees and our new friend from Panama. It was already established in South America 17 million years ago. Geologists should note that the Panama "bridge" only rose tectonically or volcanically, three million years ago to connect North and South America! The bees can tell us more than other animals from their recent evolution. Birds passed at this time from South to North America, although North American birds had already colonised the South. Mammals too began to cross at around three million years ago, as witnessed by fossils, particularly of marsupials. The bees seem to win the argument for the geologists, but I'm plain glad to see all new species at a time when we're losing so many.